This week, The Wall Street Journal reported that EZ Worldwide Express, a logistics and shipping provider, has dropped retailer Forever 21 Inc. as a client because it no longer offers it any value. Earlier this year, EZ Worldwide filed for bankruptcy protection and was forced to let go of approximately 200 employees. Soon, it will be selling over 140 pieces of equipment, machinery and vehicles that it won't have any more use for after canceling Forever 21's contract. 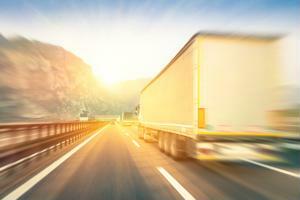 The shipping deal had previously said that EZ Worldwide would be the premier transporter for nearly 200 of the retailer's stores through 2019. According to The Wall Street Journal, Forever 21's company generated about $25 million to $30 million a year for EZ Worldwide - almost half of its total revenue. However, because the clothing retailer's business has been suffering due to the rise of e-commerce and other shifts in the fast-fashion market, the logistics provider indicated the work has outweighed its worth. The cancelation of this shipping contract is just one example of the broader trend taking place in the clothing industry, with many organizations struggling to properly optimize and manage retail supply chains in a way that allows them to meet the rising expectations and demands of consumers without losing profits. Shoppers' tastes and preferences are rapidly changing and it is becoming increasingly difficult for merchants, especially those in the discount or fast-fashion sector, to enhance the efficiency of order fulfillment and distribution operations - especially as omnichannel purchasing evolves. Aeropostale Inc., Wet Seal Inc. and Delia's Inc. are all among the other chain retailers that have also recently been pushed to chapter 11 bankruptcy, the news source added. In January, when EZ Worldwide first filed for bankruptcy protection, The Wall Street Journal reported that the business employed approximately 700 workers. In it's recent coverage, though, it revealed that its downsizing will include reducing its staff members to 225.